Last Thursday in Venice, a new, second ever in Italian, translation of Pan Tadeusz was published. The epic poem, translated by the Polish philologist Silvano De Fanti, was published by the Marsilio publishing house in Venice. The publication was supported by the Book Institute as part of the ©POLAND Translation Programme. The author of the new translation is a long-term lecturer of Polish literature at the University of Udine, and one of the most renowned promoters of Polish prose and poetry in Italy. De Fanti has published translations and analysed the works of Cyprian Kamil Norwid, Wisława Szymborska, Olga Tokarczuk, Tadeusz Różewicz, Ryszard Kapuściński, Sławomir Mrożek, Rafał Wojaczek, and Józef Wittlin. 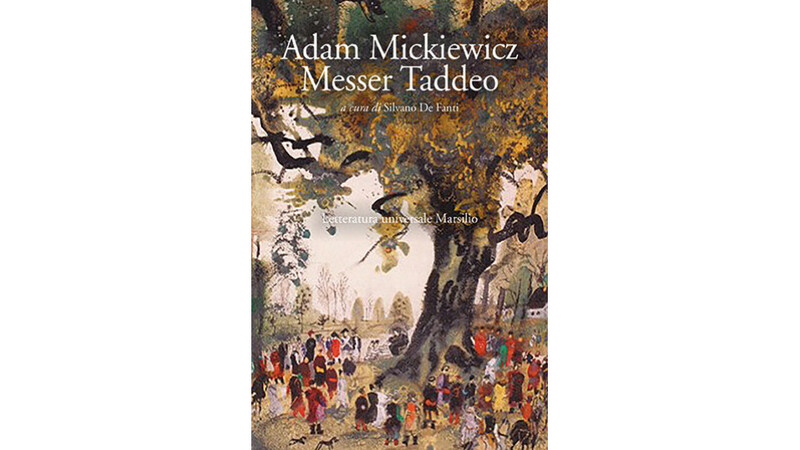 The official presentation of the new Italian edition of Pan Tadeusz, or Messer Taddeo, will take place in Rome on 19th November, during the annual festival of Polish culture Corso Polonia, organised by the Polish Institute. The premiere will be accompanied by a screening of Mickiewicz's masterpiece directed by Andrzej Wajda. The first Italian translation of Pan Tadeusz was published in 1871, and its authors were the penman and composer Arrigo Boito and Clotilde Garosci. Recently, a new translation of Pan Tadeusz into English has also been published. The author of the translation is Bill Johnston, one of the most outstanding translators of Polish literature, a winner of two awards granted by the Book Institute: Transatlantyk and Found in Translation. Pan Tadeusz. The Last Foray in Lithuania, which is the title of Johnston's translation, has also been published with the support of the Book Institute as part of the ©POLAND Translation Programme.